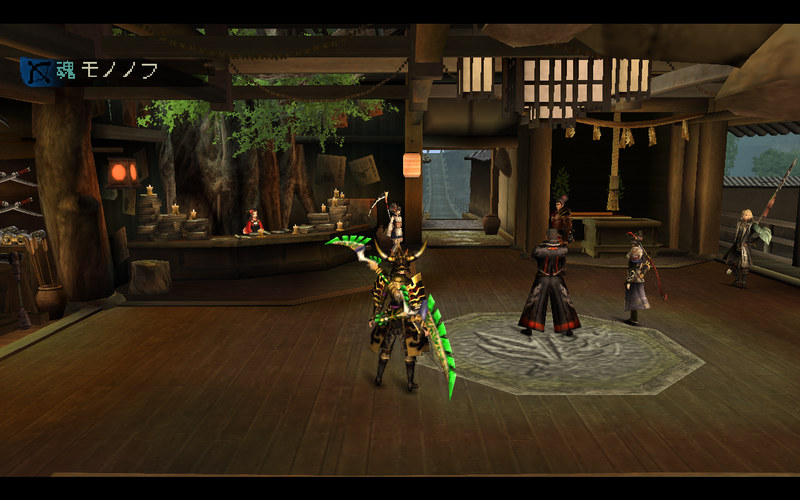 Toukiden: The Age of Demons, is a 2013 video game for PSP and PSV. It is set in a fantasy world with medieval Japanese themes. 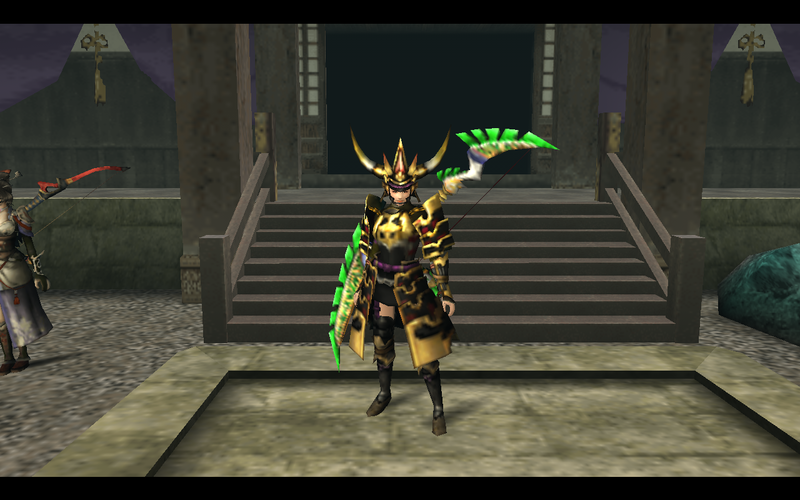 Warriors known as mononofu specialise in fighting oni form teams and hunt them. Eight years prior to the commencement of the story, a great demon emerged from the underworld and brought an era of calamity to the land of Nakatsu Kuni, which was traditionally protected by the mononofu since ancient times. The protagonist and main characters reside at Utakata Village, one of the final lines of defense against the demons. 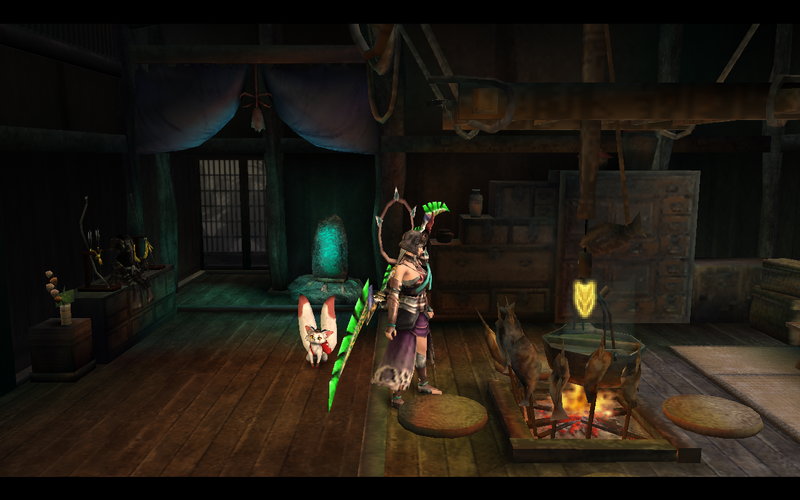 Toukiden is a third-person monster hunting game which employs groups of players or NPCs fighting together against various monsters during quests. Each player can customize their choice of weapons, armor and skills. Special abilities can be obtained through the usage of souls, or mitama, which can be collected during the progress of the game. These mitama can level up by gaining experience from battles, or by paying a certain sum of haku. Different mitama have abilities with various characteristics, and can be categorised into various groups such as offensive, defensive, or recovery mitama. Upon slaying a monster, the players or NPCs can "purify" the monster, which collects items useful in upgrading weapons and armor. 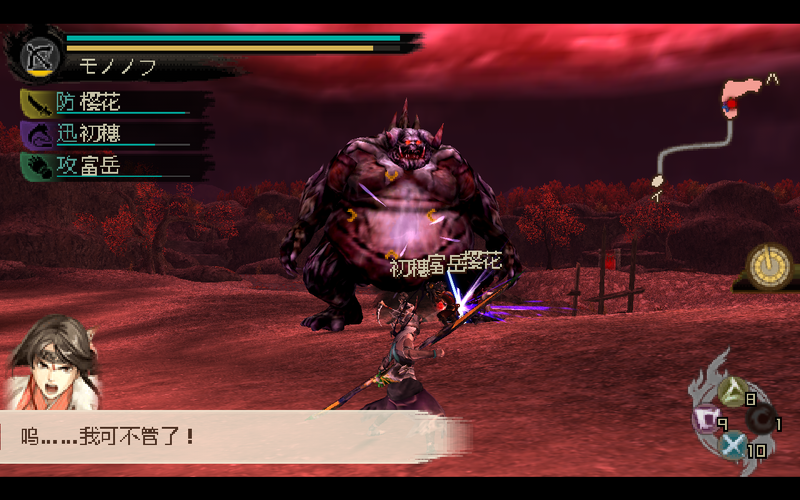 Monsters fall into the categories of small and large oni, with large oni being the boss-type enemies within the game. Players can engage in missions co-operatively via an ad-hoc WiFi connection, or over the internet. Additional missions are available in the form of downloadable content.